Wear this and you won’t need the mistletoe! 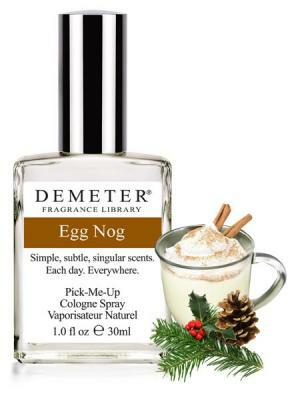 Demeter's Egg Nog is a delightful, creamy, concoction with touches of nutmeg and a dash of cinnamon. The perfect Egg Nog, at least from an olfactory perspective. Irresistible anytime.